Sunflower Oil is made from sunflower seeds and is light in appearance with a high vitamin E content. It is a combination of monosturated and polyunsatureted fats with low saturated fat levels. It is a cooking oil that has high levels of the essential fatty acids called polyunsaturated fat and is known for being tasteless with love levels of trans fatty acids. It is well known that sunflower oil helps food to stay fresher for longer periods which is why hotels, restaurants and food manufactures are increasingly using Sunflower oil. To place a cooking oil order, give us a call on 011 892 2242 or email us at orders@choiltraders.co.za. 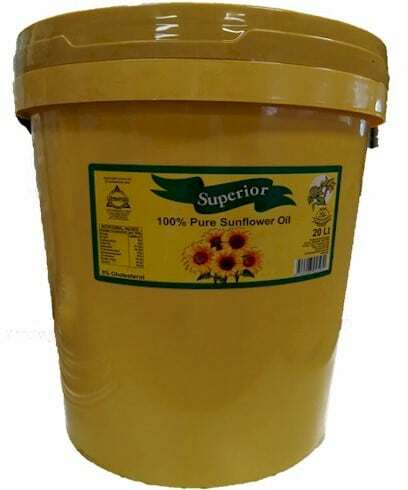 Place your sunflower oil order today!